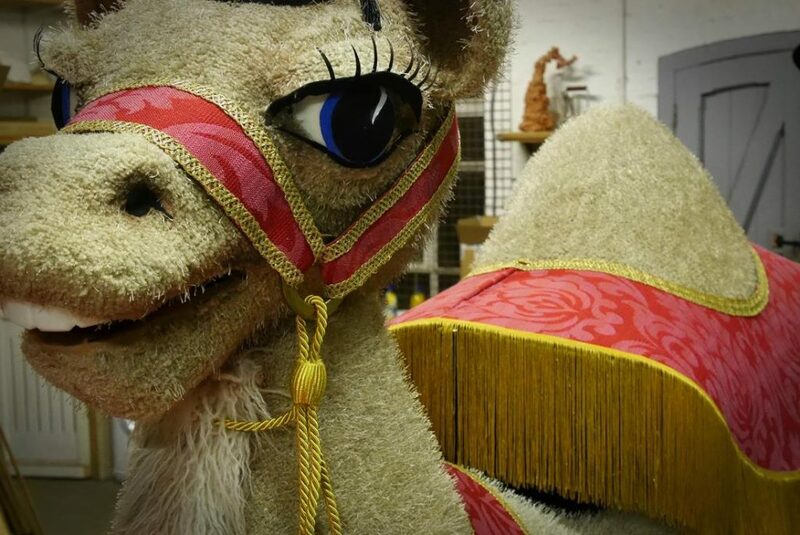 Humphrey the camel for Sinbad. Tilting neck, lifting tail, moving mouth, blinking eyes, and the ability to spit! The video below is from a dress rehearsal with just a little more tidying on the performers’ costume to be done.